Please take a look at the following help topics and hopefully you can find the answer to your question here. Select a book from one of our lovingly displayed shelves or enter the desired title, author or keywords into the search box (top right of the page) and hit 'Go'. A list of books that match your search criteria will be displayed. You may need to untick the 'in-stock' option if you don't find the title you are looking for. You can also search by using the handy quick links we have down the left hand side of the page. Scroll through the results and select the title you wish to purchase. You will be taken to the individual book page. Here you can see whether there are any available copies on our shelves. Sometimes you may see that we have an item in stock � but no copies available. This is because customers have reserved all of the copies we have in stock and we are waiting on more copies to arrive. You can still order this book and be allocated your copy as soon as it arrives from the publisher. To place your order, click on the 'Add to Cart' button and you will be taken to your shopping cart. Here you can review your purchases and, if necessary, make changes to your order. You can slecet multiple items to add to your cart from the list page by selecting multiple titles from the list and clicking �Add to Cart.� You can aontinue searching and adding to your cart until you have selected all of the items you wish to purchase. If you decide that you don't want a particular title, simply set the quantity to zero and press the update button. similarly, if you want to change the number of copies you want to buy of a particular title, highlight the number in the 'Quantity' box, type in the number of copies you require, and press the update button. Next you need to set your shipping method by using the pull down menu. If you select post and your order is under $70, a postage charge of $7 is automatically added to your order. If it is over $70 no postage charge will be applied. If you select store pickup � remember to nominate the correct store so we know where to process your order. If your order is under $70 you need to press update to remove the $7 postage charge which has been added automatically to your order. If you plan to pick up your order within 24 hours of placing it, please telephone the relevant store during opening hours so we know you are coming and have your order ready for you. If your book is in stock it will be shipped the next business day. If it is not in stock it will be placed on order for you. The item will be shipped the same business day it arrives from the publisher. If you have ordered multiple books in one order and they are not all in stock we will wait for them all to be in stock before shipping them � unless you tell us to do otherwise (note there may be extra freight charges for split orders). If when we place your order with the publisher we find out about a significant delay on one of your titles or if a book you have ordered has recently gone out of print, we will contact you to discuss the issue with you. The checkout screen gives you the option to pay via paypal (if you don�t have an account it is easy to set one up) or via credit card (Visa or Mastercard). There is no requirement to set up a paypal account if you are paying via credit card � we are just using the high security of the paypal site to process your payment via cedit card. During checkout you leave the Robinsons Bookshop site briefly to pay via paypal�s secure payment gateway. Paypal will return you to Robinsons upon completion of the payment process. Schools and libraries can request to be issued with a secure login and password. With these details school representatives can login and put their purchases on their school account. Remember to login before you begin selecting titles using the login button on the home page. When you have completed selecting titles, select the pay on account option at the checkout screen instead of checking out with paypal. You can purchase gift vouchers online via this website. We have Robinsons vouchers (usable in Robinsons Bookshops only) or ABA vouchers (usable in any registered bookstore nationally). Whilst these vouchers can be purchased online and posted out to you (or the voucher recipient), they can only be redeemed in store as we need to sight the vouchers. Robinsons vouchers can be redeemed over the telephone if you can quote the correct date of purchase, value of voucher and the voucher ID number. ABA vouchers can only be redeemed in-store. If you lose a gift voucher it is the same as losing cash. We are generally unable to re-issue vouchers that have been lost as the person finding the voucher can still redeem it. In the case of Robinsons vouchers � if you still have the receipt with the voucher number printed on it � we can sometimes cancel the old voucher and issue a replacement one. Please speak to the store manager if this is your situation. Robinsons Bookshop staff are regularly approached by authors wishing us to stock their self-published title. Unfortunately, with the complexity of the supply chain in the book industry we only take these types of consignment orders under very strict circumstances. 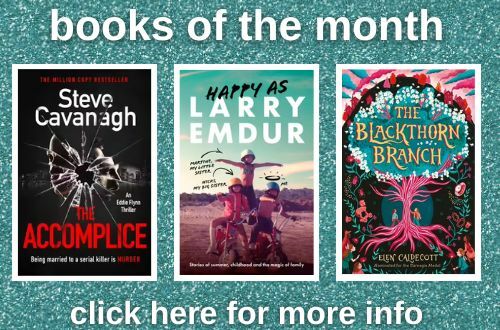 If you are an author and you want to see your book on our shelves the best approach is to speak to the major Australian distributors � rather than individual bookshops. The types of consignment books we do take are books by local authors about local issues, places or people. We expect authors to create some local publicity to help promote the book on our shelves. 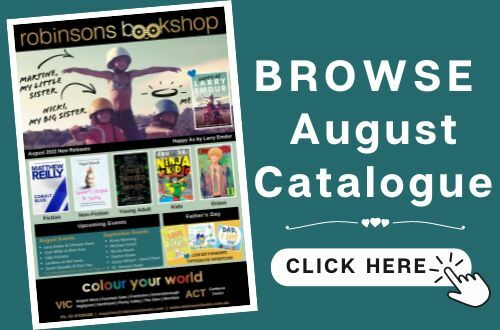 If you wish to submit a book for consideration by our purchasing team please download and fill out a consignment request form, enclose in an envelope with a reading copy of your book, and post to Robinsons Bookshop, 3/11 Station Street Frankston, VIC, 3199. We will then contact you if we wish to stock your book. Please wait to hear from us. As we assess and make purchasing decisions on over 5,000 new titles each month - it may take some time � so please be patient.